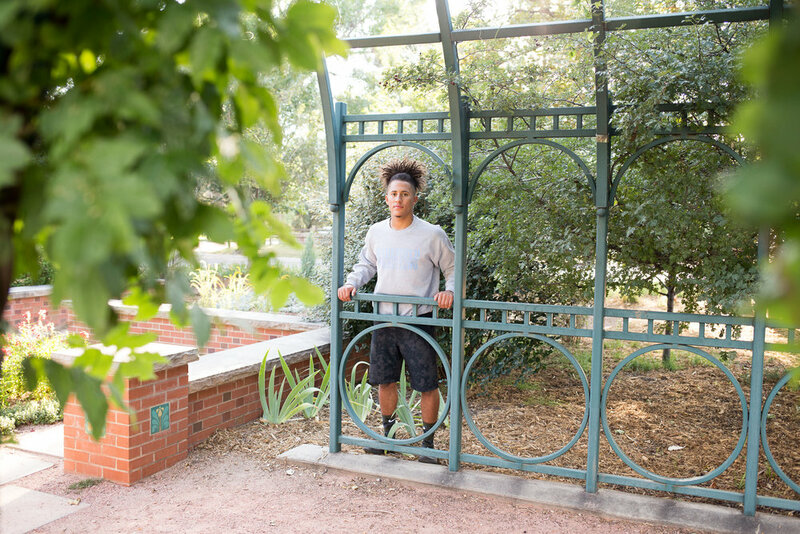 It was great to meet Elijah and his free spirit for his senior photo session, as we ventured to downtown Colorado Springs to capture many different backdrops and moods. We started at Monument Valley park where I was able to chat with Elijah about the various activities that he is a part of, and he was extremely proud of his accomplishments in wrestling and track, and he had the patches and pins on his Varsity jacket to prove it! I enjoyed hearing him talk about his proud moments in sports, especially as being the captain of his wrestling team and two time state qualifier. I remember the days when I also played sports in high school, and the thought that either individually or as a team that I was helping to contribute to something and pushing myself to my limits made me proud of myself. It was very cool to have Elijah incorporate these important activities into his Colorado Springs senior photo session. 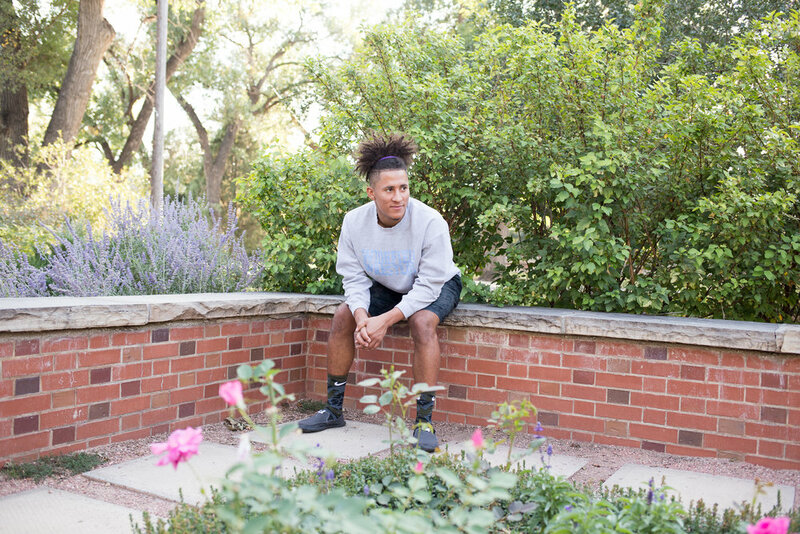 In addition to talking about what Elijah has enjoyed doing as a high school student, we also talked about his future and what he envisions it to look like. We talked much about travel and places we wanted to see. He plans to join the Navy for the opportunity to travel and see many places, as well as continuing to work on a team. Elijah also plans on trying lots of different foods of the world, which I think helps people to learn more about that particular culture. All of these are fantastic goals, and I believe that no matter that Elijah strives for, that he will be successful because he as the work ethic and attitude of someone who is determined to learn and grow to become the best that he can. Even if it gets tough, he will not quit when working toward his goals. Wishing Elijah all of the success he can imagine and a many great adventures as he embarks on his new journey soon. It was a pleasure to meet him for his senior session in Colorado Springs to capture who he is as he soon transitions to a new chapter in life.